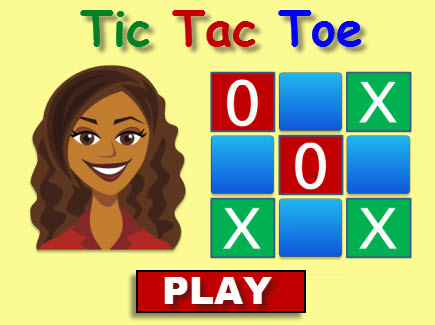 Practice your long division skills as you play this fun Tic tac Toe Time Game against the computer. For each correct answer, you will get an X on the board. For each mistake, the computer will get an O. Can you beat the computer? This game can be played on computers, iPads, and other tablets. You do not need to install an app to play this game on the iPad. Have fun dividing numbers! Find whole-number quotients of whole numbers with up to four-digit dividends and two-digit divisors, using strategies based on place value, the properties of operations, and/or the relationship between multiplication and division. Return from the Long Division Game to the Math Tic Tac Toe Games, or to Math Play. For other similar games, please visit the 4th Grade Math Games or 5th Grade Math Games pages.